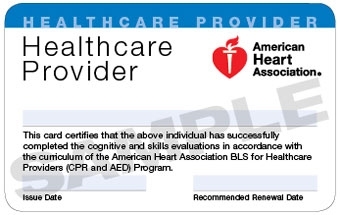 AHA Certification valid for 2 years (recognized worldwide). Medical, paramedical and non-medical staff from Hospitals and Nursing Homes such as doctors, nurses, technicians, ambulance drivers and helpers. Fitness instructors and swimming coaches from Health Clubs and Schools. Airline Pilots and Flight Crew.